WOAPA was delighted to be able to perform at The Witney ABC 'Against Breast Cancer' "Witney In Pink" event on 4th October 2014. It takes more than a little bit of rain to dampen our spirits! 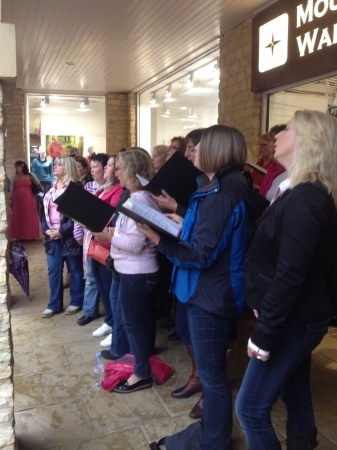 Here are some of our Adult Singing Group performing on the day. No auditions! No requirement to read music!